Thousands of seriously ill and disabled people who are unable to work are being wrongly denied benefits, a report by Citizens Advice has claimed. The bureau says the system of assessing Employment and Support Allowance (ESA) claimants is failing, with 68% of those assessed told they are fit for work. It says "crude" tests fail to allow for the complexities of many illnesses. The government says it plans to exempt cancer suffers from testing and show "more sensitivity" for some illnesses. The Department for Work and Pensions (DWP), which reviews the system annually, says it will look again at conditions such as autism, learning disabilities and Multiple Sclerosis. But the bureau, backed by 18 other bodies, says people are "effectively being written off" and the government's aim of moving people into work "totally undermined". It said the stress of testing can add to the pressure on already vulnerable people and risked moving them even further away from a return to the workplace. 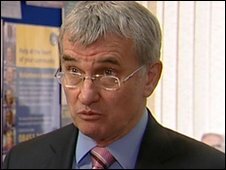 Chief executive David Harker told the BBC the assessment test was unfair and badly administered, with some "very, very crass errors being made". "The people that we talk to talk about something done very speedily, often no eye contact being made with the applicant, and the person staring at the computer screen asking very, very rigid questions," he said. "Seriously ill and disabled people are being severely let down by the crude approach of the Work Capability Assessment. "A much more sophisticated approach is needed, that not only looks at a person's ability to undertake a certain task on the day of the test, but considers supporting medical evidence and other aspects." In Portsmouth, the mother of a young motorcyclist who badly smashed his leg in an accident in 2008 said she was shocked when his claim was rejected by a medical assessor. Jane Price, an orthopaedic nurse, had felt certain her son Jay Barker would qualify for benefits while he recovered. "It was almost laughable, I thought I was going mad. I mean this was a specially trained disability analyst, who's also a qualified nurse, saying he was fit for work in the middle of multiple corrective surgery with a leg that's in two pieces," she said. Mr Barker later won his appeal against that decision, but is now being called back for another assessment. 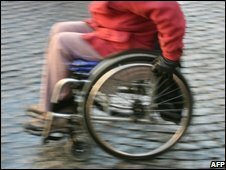 ESA was introduced in October 2008 to replace incapacity benefit for new claimants. DWP figures revealed that of those who applied, 68% were considered fit for work. Meanwhile, between October and December last year, 22,618 people sought advice about ESA, Citizens Advice says. The DWP said that from next year, doctors would assess 10,000 claimants of long-term sickness every week according to what they can do, not what they cannot. "The assessment doesn't just look at whether people can still do their previous jobs, it also looks at whether they can take up alternative employment too," a spokesperson said. "Ministers are concerned that some people are found fit for work when they shouldn't be as the test looks at disability, but doesn't properly consider the effect of illness where people could have good and bad days."